The ongoing chip wars took a new twist with the news that Intel is suing AMD for what it suggests is a breach of a cross-licensing agreement. The problem apparently stems from the creation of Globalfoundaries by AMD, which Intel insists is "not a subsidiary under terms of the agreement and is therefore not licensed under the 2001 patent cross-license agreement." The Globalfoundaries project closed recently and a new partnership with venture capital firm Advanced Technology Investment Co (ATIC) has angered Intel. "AMD cannot unilaterally extend Intel's licensing rights to a third party without Intel's consent," Bruce Sewell, Intel's general counsel, told Reuters. 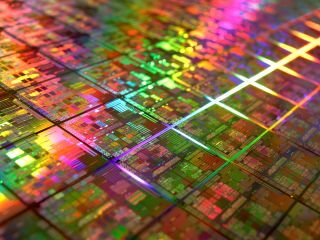 AMD have 60 days to correct the breach or Intel will terminate AMD's rights – according to the former's claim. AMD's response has been to insist that it has not breached the agreement, and that Intel should not be able to terminate rights and licenses. Intel is seeking a resolution rather than a court case.